As I know we all loved the Rainbow Watersports brightly painted van, but it’s time had come for the old, clankity girl to rest. We were sad to see it go with the VERY cool Map that showed where all of our paddlers came from!! 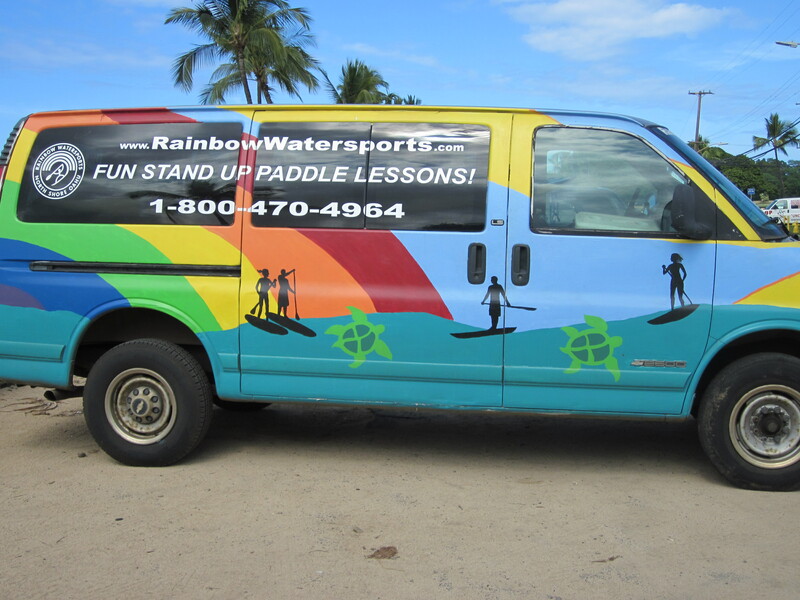 Come to Haleiwa Bay and check out our new Van and take a Paddleboard lesson with the finest instuctors on the Island of Oahu! We all love teaching this new skill and confidence on the water… and in the Anahulu River. Safety is first, and then FUN FUN FUN!! Come Play With Us! !